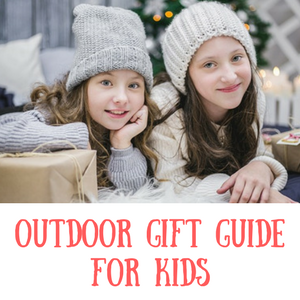 Best walkie talkies for kids – Get Kids Outside! There comes a time when kids want to be a bit out of reach and when that happens, you’ll most likely want to be able to keep in contact if need be. 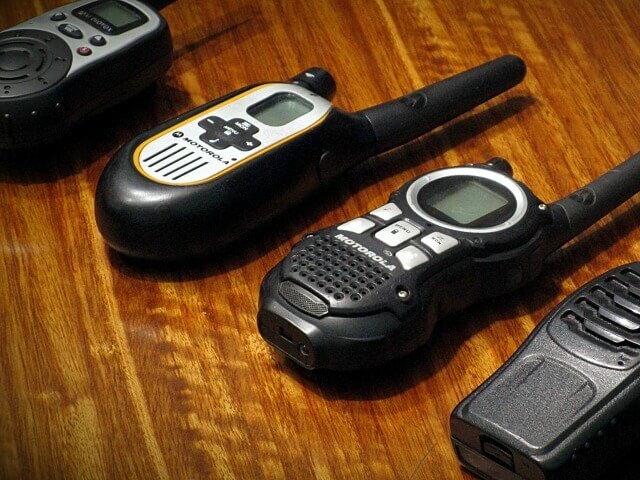 Getting a set of walkie talkies (also known as two way radios) is a good idea for fostering independence, perhaps when going to the park for the first time on their own or playing out in the street. These are the best walkie talkies for kids that are around at the moment for both play and keeping tabs! The best thing is that compared to prices of smart phones they’re really reasonable, so if you’re worried about them getting lost or stolen, this might be a good compromise. 3 Best walkie talkies for kids that work! As you’ll see below there are two different kinds of radios that you’ll come across when looking for something for kids. You’ll see toy walki talkies, often licensed with popular characters and then you’ll also see more ‘proper’ radios. If you’re just looking for something simple for younger kids then the toy radios will probably work just fine. If you’re after giving them some independence while being able to keep in touch, then I recommend the walkie talkies in the second section. Most of these items don’t come with rechargeable batteries – be aware that they will run down their power really quickly so I recommend getting some so that you’ll always be able to use them. Think about the range of the radios and how far your kids are likely to be away. I doubt that you’ll need to have a range more than 3km which is the most common range for the real walkie talkies I mention, but be aware that build up areas and hills might make that range diminish slightly. Some walkie talkies are meant just for toys and although they work, they’re not the best. However that doesn’t mean that they don’t have some value. If you want something for your kids to play with in the garden and something with more play value that you’re happy to be put in the toy box at the end of the day these will be just fine. Just bear in mind that they won’t have the quality that some of the more ‘proper’ sets have below and they’ll probably work slightly better in the garden than indoors. These Spiderman walkie talkies are perfect for any fans of superheroes and for role-play. They’ll go great with a dressing up outfit too! They are shaped like Spiderman’s head and the set comes with two handsets. They are a little bit crackly but are a nice inexpensive introduction to toy radios. Click here to read more reviews of this product and see latest price. These are similar to the Spiderman set and are a great toy to introduce kids to walkie talkies. Aimed at girls (but of course suitable for boys too!) and fans of Anna and Elsa from frozen, these are purple in colour with light blue accents. The sound quality isn’t the best and many people have problems hearing clearly, but they are a popular set and some people find them just right for what they need. They are a good value set as well and not too expensive. Read the reviews and see the latest price here. From the makers of the popular toy guns, this walkie talkie set is a great addition as they play outside with their guns. Kids can keep in touch with each other as they pretend to be on a mission! Probably aimed at slightly older kids than the frozen and spiderman versions. These are slightly more expensive than the items listed above but have much better reviews. You’ll find that they still have a bit of static and the sound quality isn’t always that great, but for a toy they work just fine. To read the reviews and buy on Amazon click here. Of course there are so many different character walkie talkies around right now – for 2017 Star wars, Avengers and Paw Patrol are definitely hot. Best walkie talkies for kids that work! Thankfully there are plenty of two way radios that actually work really well and are suitable for kids! Not that the toy versions listed above are bad, but of course it just depends on what you want them for. If you want to send your kids to the end of the street and be able to contact them if need be, you don’t want something that’s just a toy. Similarly if your kids are older and want a serious set that they can use for games with their friends, these will be great for them. This is probably my favourite set of walkie talkies for a couple of reasons. Firstly they work well. Although they say for kids, they are a proper set of two way radios that do what they are supposed to. They have a 2km range, which is just fine for kids exploring a little away from home. 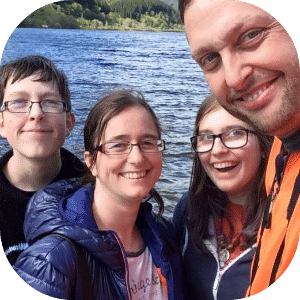 They are a great bright colour which means you’re less likely to lose them (and come in different colours too – yellow, light blue, navy blue, black and pink) . They also have an inbuilt torch for talking when in bed! Overall it’s everything that you’ll want in walkie talkies for children. This is a nice decent but still cheap walkie talkie set that comes highly recommended. Binotone are a really good make and so you’ll be sure that these will work well. The range on these radios are not so long, 3km, but that will probably be fine for kids! They take 6 AAA batteries (3 per device) and I’d recommend getting some rechargeable batteries so that when they are accidentally left on it’s not too much of a cost!! You know it will happen! Click here for more info and latest price. These don’t look like toys because they’re not! However they are nice and simple to use and as such are perfect for kids to get the hang of. They are long range radios which should work up to 5 km away! They come with a small LED light so great if you’re using them on a campsite at night perhaps, or even in a bedroom when the lights are supposed to be off! They are the best rated set on Amazon at the moment, a good price and worth a look if you want a good set of walkie talkies for older kids. Click here to see more and the latest price. Looking for a set of family walkie talkies? Perhaps you’re off on a camping trip and would like to keep in touch with each other? If you buy a set of four walkie talkies and tune them all to the same channel they should work for keeping tabs on each other!